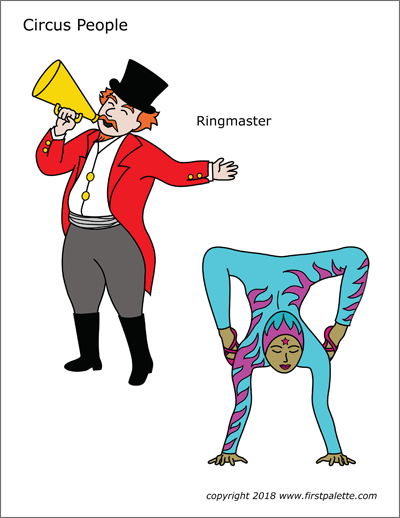 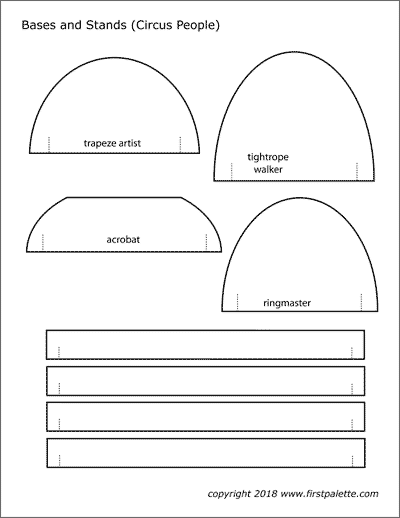 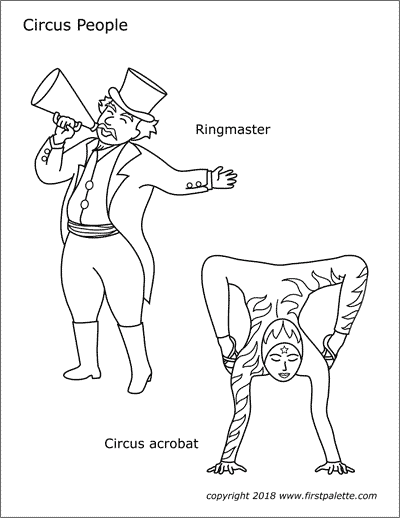 Free printable circus people, including a ringmaster, a circus acrobat, a tightrope walker, and a trapeze artist. 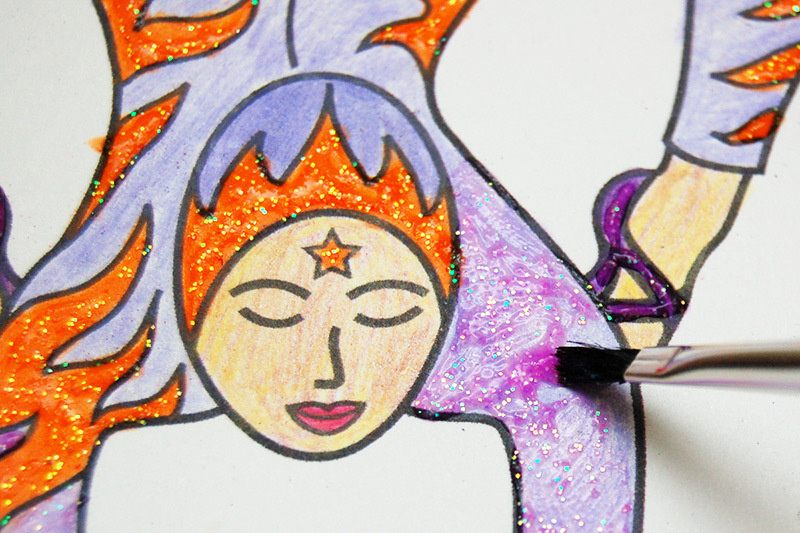 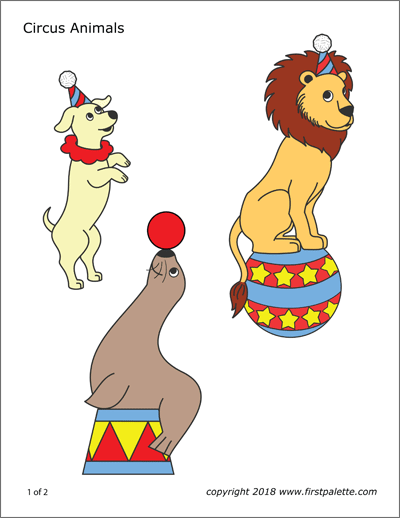 Color and use them for various circus-themed crafts and learning activities. 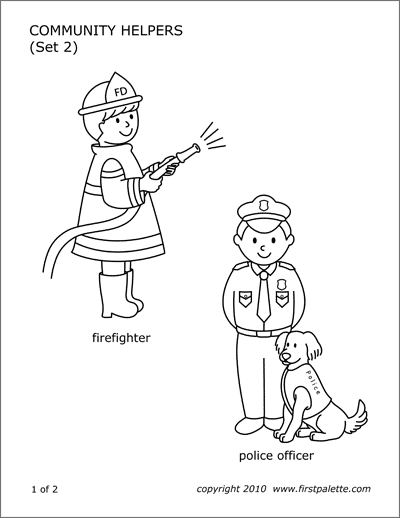 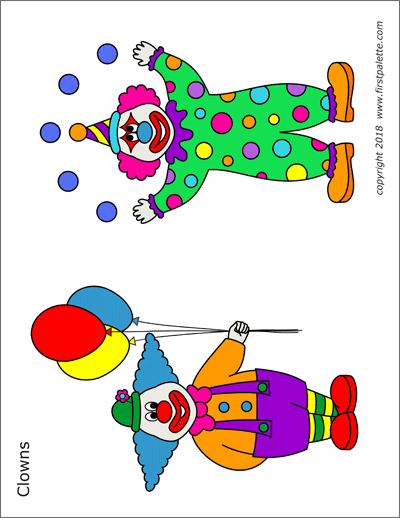 Have fun coloring or painting the circus characters. 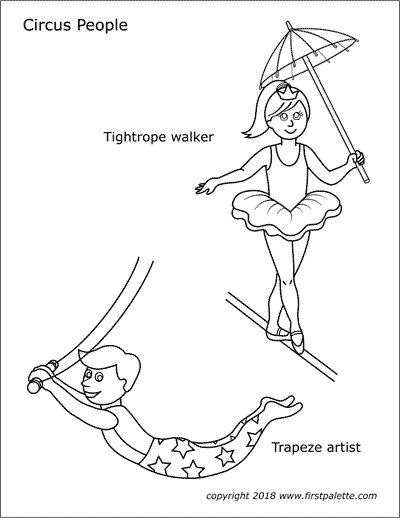 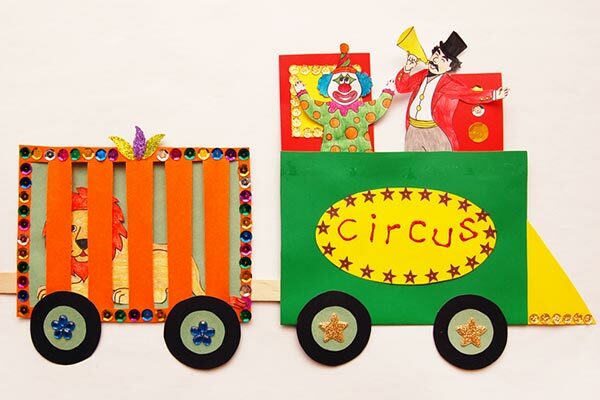 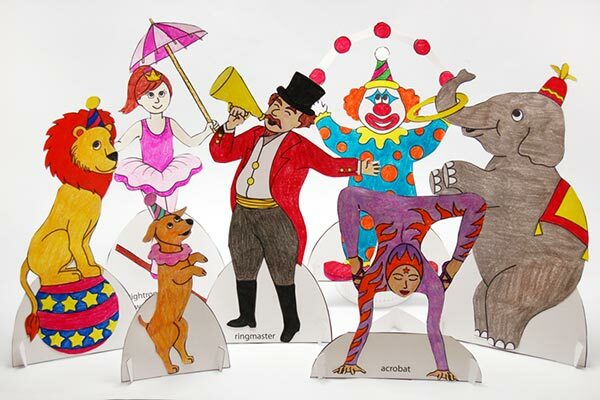 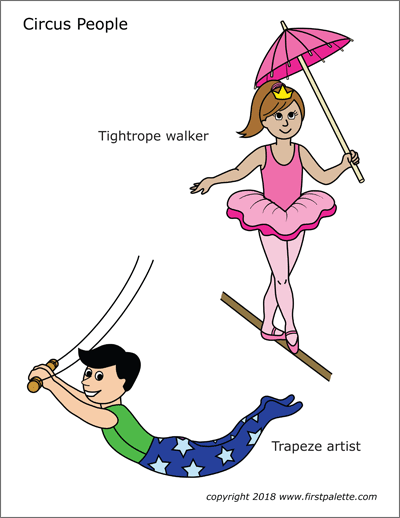 Proceed to use the characters in your own circus-themed crafts and activities. 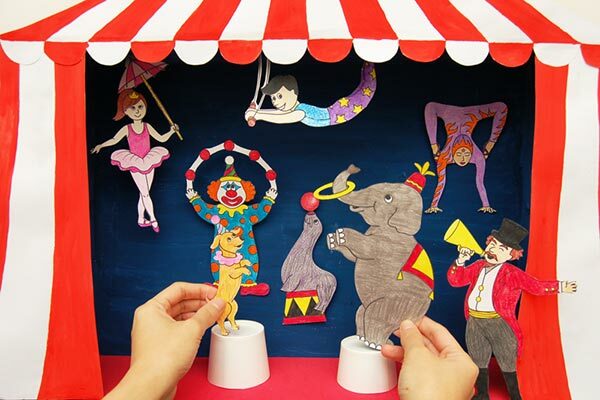 You can also check out our awesome circus crafts below.